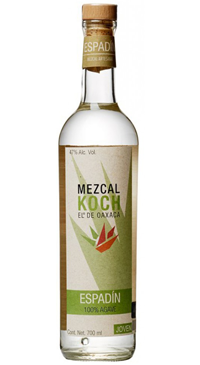 Koch El Mezcal is a highly sought after brand making Mezcal from sustainably cultivated agave and operate three distinct farms producing different styles. The company operates three cultivation and traditional methodology. They specialize in Wild Agave cultivation and operate three separate palenques, which distill in distinctly different styles. The agave espadin is matured 7 years before being roasted in conical earthen ovens and crushed on a traditional horse driven stone press! Fermentation in pine and oak before double copper pot distillation. It is distilled and bottled without any additives. Lots of tropical fruit, powerful spicy notes and smoky herbs.